Wow – what a special experience! 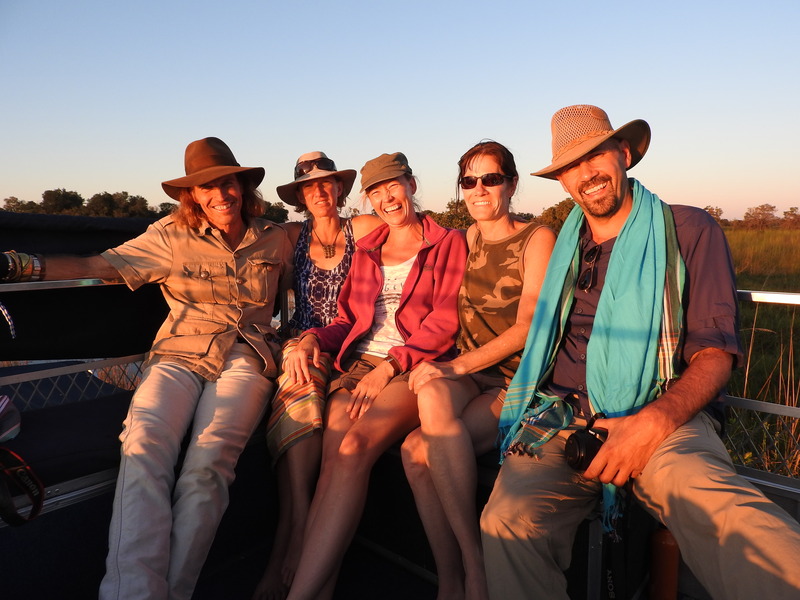 Recently I was privileged to join a group of agents on an Uncharted Africa educational to Moremi, the Delta and the Salt Pans. Arriving at our mobile camp set up between 2nd and 3rd bridge in Moremi Game Reserve after dark was like arriving in fairy land, with all the lanterns down the pathways and throughout the camp. Welcomed with a glass of sparkling wine, we were settled in. This luxury mobile set up boasts a combination of elegance and a kind of exploration history giving you all the comforts of beds, en-suite bathrooms with bucket showers and flush toilets. This was to be our home for the next 2 nights. A mobile safari gives you a private camp feeling much closer to the bush than the infrastructure of any lodge. Lying in bed at night and listening the bush come alive, as certain curious species of game come to inspect the different smells and activities of our camp. Our Guides, Ralph Bousfield and Greg certainly did not disappoint with their in depth knowledge and passion for the bush and stories of exploration, history, culture and scientific facts kept us all engaged and entertained the entire time we were with them. The other advantage of a mobile safari is creating a trust and a bond with your guide that will be with you throughout your trip. Day 3 we boated far into the Okavango Delta, to our Island stop where Devon (our Camp Manager) was waiting for us, fly camp set up, with more food and drinks. Our set up was a roll mat with a mosquito net under the vast stars in the middle of the Okavango Delta. 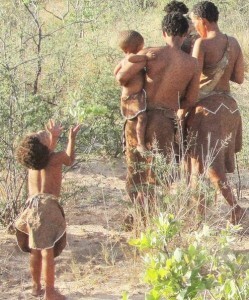 It gave us a feeling of being truly in the wild, in one of the most beautiful places on earth. 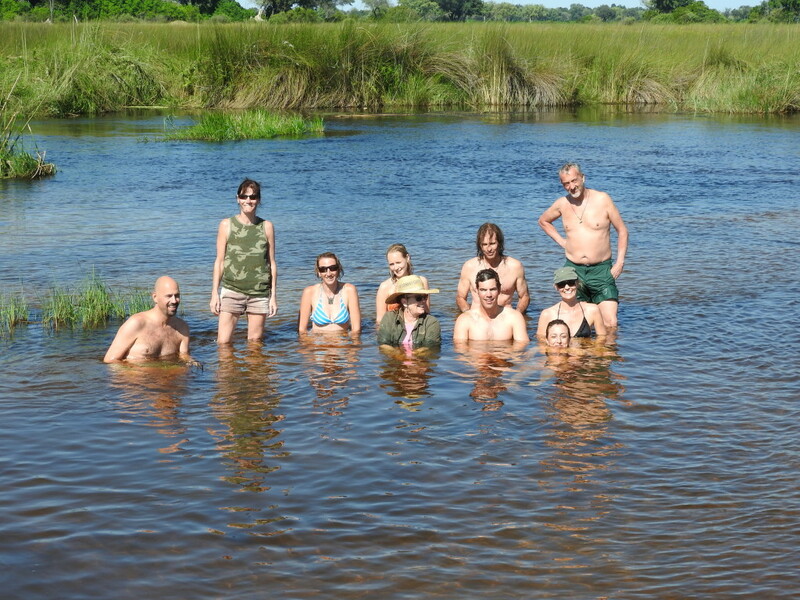 Here we experienced the water ways of the Delta, whilst competing against each other on the number of Sitatunga and Otters we spotted. Nature walks around the island with Ralph proving to Simona we could still make a pizza from natural plants, mushrooms and shrubs on the island as well as curing malaria at the same time. 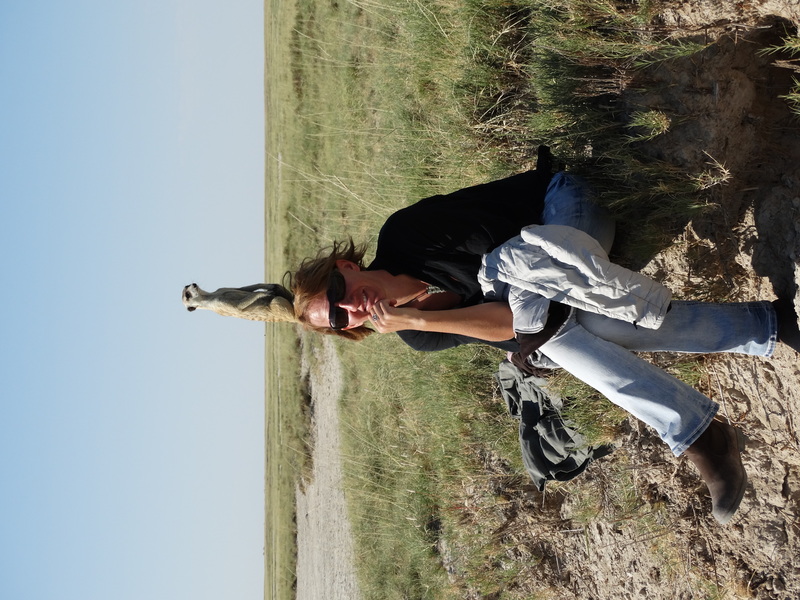 Day 4 our Delta experience was over and we flew out to the openness of the Makgadikgadi Pans. 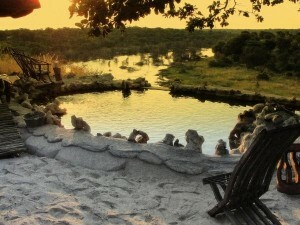 Our home here for 2 nights was in the most feminine of all 3 Uncharted Africa camps, San Camp. You have a choice of 3 camps all meeting 3 different styles and budgets, whilst you can all enjoy the same activities. Camp Kalahari situated further back in the grasslands is the least expensive of the 3 camps. It is currently raising all the tents, to allow the breeze to blow through and give you more of a view of the Pans. San Camp being the lady of the 3, situated on the edge of the pans themselves is seasonal and only operational from April to October. Its white tents on the edge of the pans gives you the true feeling of being on the moon. Jacks Camp, this colonial and historic camp based at the edge of the pans but slightly back into the grasslands is the grande-dame of the three. Packed with history and science with their registered museum, it does look fabulous after the completion of its refurbishment. One thing to mention on the activities, is all 3 camps run the same activities on a rotational cycle so that guests from 2 different camps don’t do the same activity together. This is the reason that a 3 night stay in the dry season is recommended to be offered the surprise sleep out (weather dependant). Activities include a cultural bushman walk, game drives looking for more adapted desert species, quad biking in the dry season, following and interacting with the very comical habituated meerkats, horse riding as an optional extra and watching the sun set where it is so silent that your ears ring. A safari to the Salt Pans is such a unique experience, from the Zebra migration in the Green Season to exploring the pans on quad bikes in the dry season, it should not be missed. With our first rain of the season last night, the residents of Maun are breathing a sigh of relief. It is a welcome reprieve from the October heat. With all the industry talk of “Green Season” and the countless specials on offer, I thought I would shed some light on the subject for those wanting to travel to Botswana at this special time of year. The green season in Botswana (Dec—Mar) is becoming increasingly popular as many operators offer significantly reduced rates paired with clever marketing strategies. However, you need to know the difference in the product during these months and be honest with your prospective customers. Both wet and dry spells occur throughout the season. Typically short, spectacular afternoon showers offer a welcome relief from the heat of the day and make for great photographic opportunities. However, periods of heavy rain, low cloud cover and drizzle can occur. Large concentrations of wildlife surrounding the permanent waterways during the dry season disperse to seek new grazing and are sustained by the seasonal pans now filled with rain water. 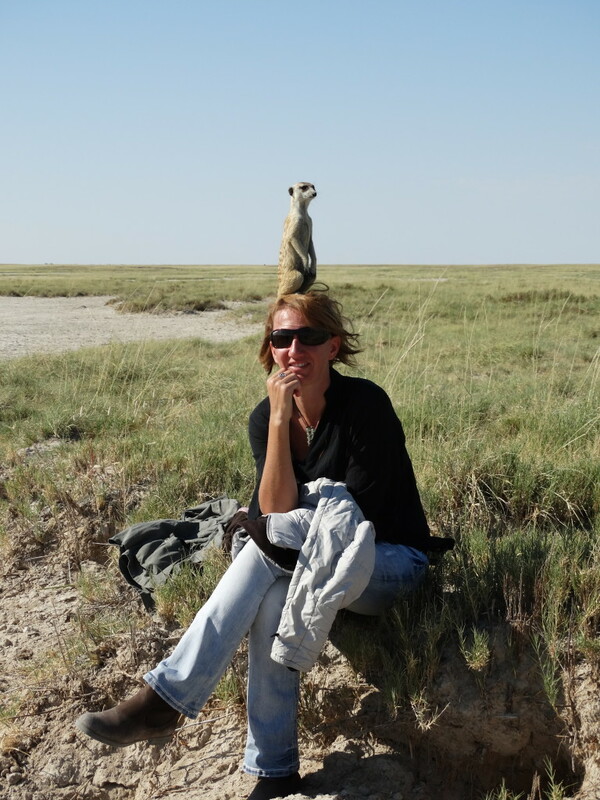 Lower concentrations of wildlife are compensated for with lower visitor numbers offering added exclusivity. With the arrival of the rain comes new life as birthing season begins for many species. 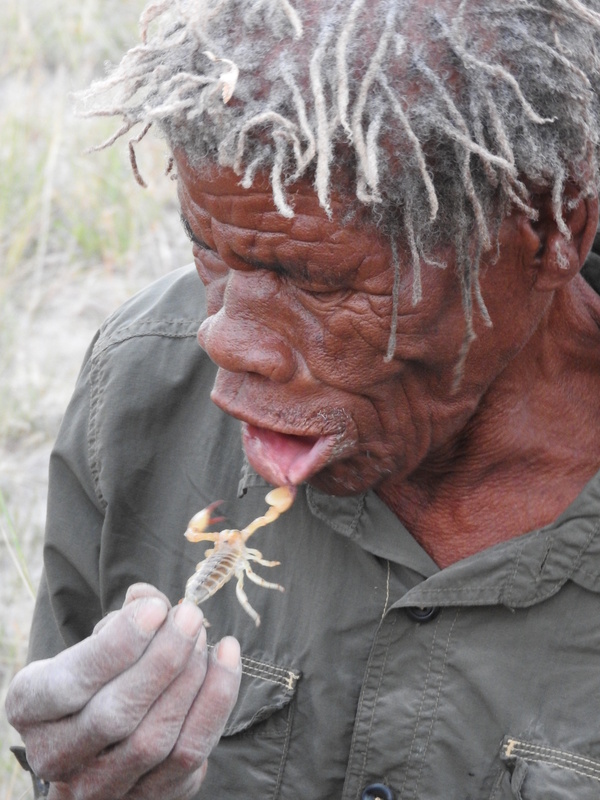 Predators take advantage seeking out the vulnerable young as easy prey creating spectacular wildlife interaction. Heronries and other nesting colonies are very active at this time of year and it is the peak breeding time for many of the colorful migrant birds. The normally arid landscape of the Kalahari is transformed into a thriving paradise teaming with herds of springbok and gemsbok attracted by the short, sweet grasses and the water filled pans. Nxai Pan becomes home to thousands of Zebra resulting in excellent predator interaction with the resident lion prides. The scenery is refreshingly lush and vibrant as the dust is washed away and trees and flowers burst into life. The retreat of the flood means that more varied habitats are accessible to explore on game drives. Lower water levels in the delta can limit water activities dependent on seasonal flood levels. Walking is limited for safety reasons due to the cover provided by the long grass and lush vegetation. 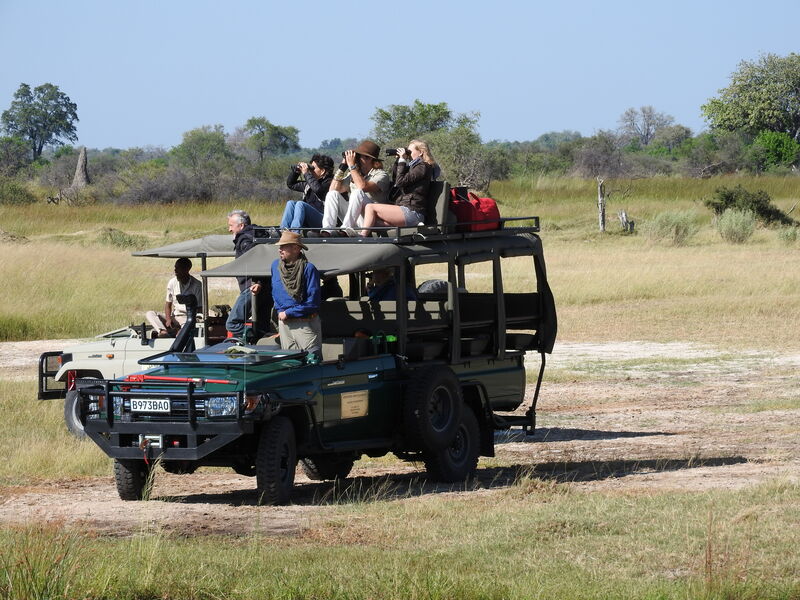 The green season rates offer excellent value for money, providing a great opportunity to visitors that could otherwise not afford Botswana, or returning visitors that would like to see a different side.